This General Data Protection Regulation (GDPR) of suedschleife.com based on Regulation (EU) 2016/679 of the European Parliament and of the Council of 27 April 2016, apply accordingly from 15 Mai 2018.
suedschleife.com takes the protection of your personal data very seriously. We treat your personal data confidentially and in accordance with the statutory data protection regulations and this privacy statement. The use of suedschleife.com is possible without providing personal data. These connections are anonymously recorded as guests for the necessary internal logging, e.g. in order to reject junk emails. On suedschleife.com, there are no areas the content of which is not controlled by us, but by third parties, and which could be used for data storage and user logging. suedschleife.com does not use traffic analysis services such as Google Analytics or similar services. suedschleife.com does not use advertising services such as Google AdSense or similar services. suedschleife.com does not use PayPal or other payment services. suedschleife.com uses only the minimum connection logging mechanisms contained in the Drupal CMS system used, which serve to prevent risks and to ensure security of suedschleife.com. This applies, in particular, to unauthorised login attempts, attempts to place Trojans or other malware in suedschleife.com, to prevent suedschleife.com from being called, to cause it to crash, to manipulate content or even to delete it. Connection-logs of the CMS-system will be deleted iregular by suedschleife.com. If you send suedschleife.com enquiries via the contact form or if you recommend suedschleife.com site to someone by email, your details from the email form, including the contact data you provided there, will be stored for the purpose of processing the enquiry and in the event of follow-up questions with us, and will be deleted on a regular basis. We will not pass on these data without your consent. suedschleife.com has a redirect button to ok-speedmarketing.com's Facebook site. This button does not contain any hidden or invisible functions that serve to spy on suedschleife.com's website visitors and forward any data to Facebook as long as you are on the suedschleife.com pages. suedschleife.com - like most web sites - uses so-called cookies. Cookies are small data-sniplets which saved on your device from your browser and be send back to the suedschleife.com-server at the next call of a page. By this, the server could realize functions of your browser l so that i.e. a menu or a shopping cart could be enable. suedschleife.com does not use any cookies that are permanently stored on your terminal device, e.g. cookies that may recognise you during your next visit. suedschleife.com uses exclusively SSL encryption for security reasons and in order to protect the transmission of all content. You can recognise an encrypted connection by the fact that the address line of the browser changes from "http://" to "https://" and by the lock symbol in the address line. suedschleife.com is hosted by a provider we know personally, who does not have any agreements regarding the transmission of data with intelligence services or other public or private organizations or companies. These data are anonymised and cannot be assigned to specific persons. Sporadical the provider of suedschleife.com had to check these data subsequently if we become aware of concrete indications of an illegal use of suedschleife.com or if this is necessary for the functioning of suedschleife.com. suedschleife.com will never combine the logs of the provider with other data sources. You have the right to be provided with information free of charge relating to the data stored by suedschleife.com, their origin and the purpose of their processing. 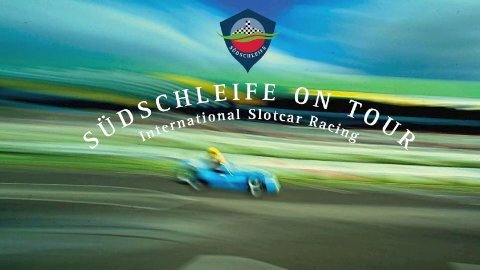 You can request this information by fax, telephone, letter or e-mail to info@suedschleife.com. Then, the information will be sent to you by mail. (Please do not you forget to indicate your mail address!) For data protection reasons, it is not possible to provide information by telephone.